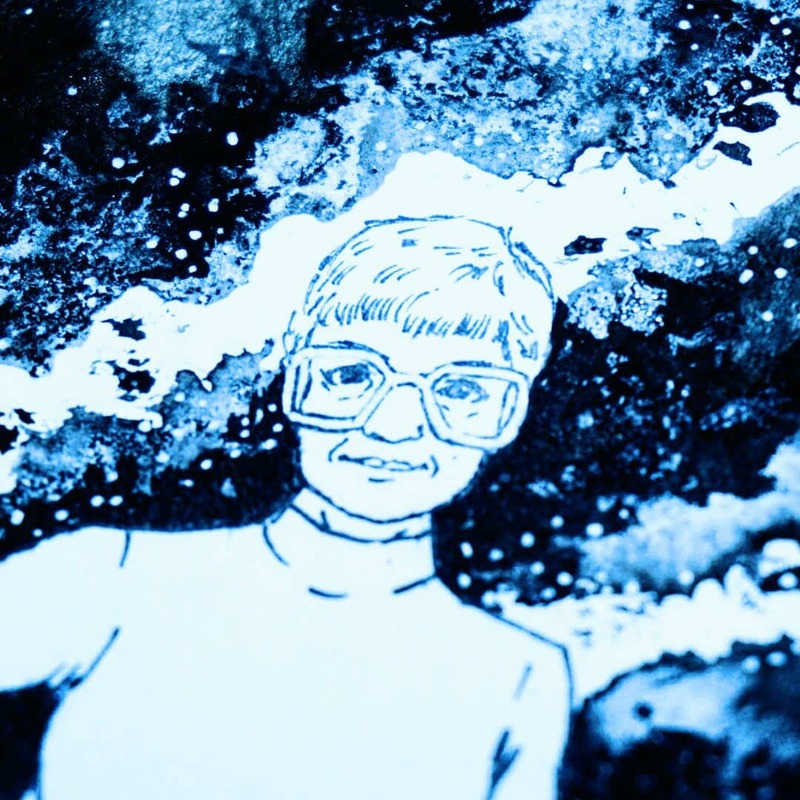 Inking Science Day 16 - Vera Rubin and the Angular motion of galaxies. One of my favourite thing about science is that scientists don’t know always understand what’s going on. When scientists discover something new, usually more questions arise than the ones that get answered. It might sound depressing, but it quite exciting instead. It means that there is always something new to learn and understand. We are always, and always will be, learning. Vera Rubin was observing and studying galaxies motion when she uncovered something new. She noticed that the speed at which spiral galaxies were rotating was not quite right. It was too fast for them to stay in galaxy form: the observed motion was faster than the predicted angular motion. They moved so quickly they should fly apart! Unless.. Unless there is more mass holding them together through gravity. A large amount of mass that we are not seeing. Not emitting light nor other types of radiation: Dark Matter. Dark Matter sounds exotic and has brought curiosity to the field of astronomy and cosmology. Physical mysteries like this remind us that what we observed in nature so far is just dictated by what we can observe. As we progress and we develop more techniques, we might need to change all that we know to accommodate new observations. Vera Rubin knew this amazing aspect of science. And she fought for having access to the thrill of the discovery, even at times when it was not so easy for a woman to get access to labs and equipment. Thanks to her and her perseverance, we now are a little bit more aware of the many things that we still do not know.